The Procyon Post: What's New! We are pleased to send you the inaugural issue of our new newsletter, The Procyon Post. 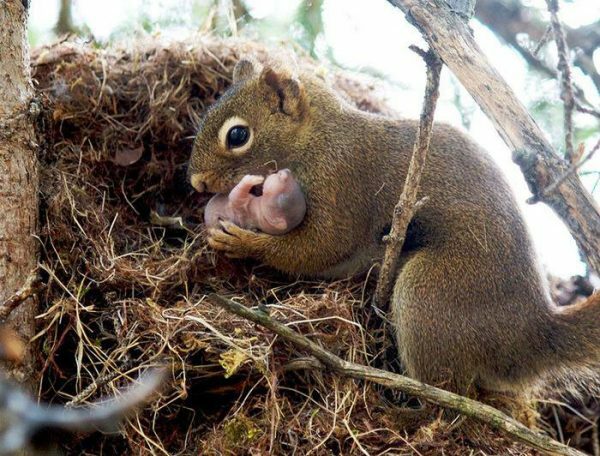 This newsletter is intended to help educate the public about our Ontario Wildlife, and what each and everyone of us can do to prevent needless suffering. Our first issue features an article by wildlife photographer and Procyon volunteer Jennifer Howard, called Surviving in this Human World and discusses the difference between rabies and distemper. 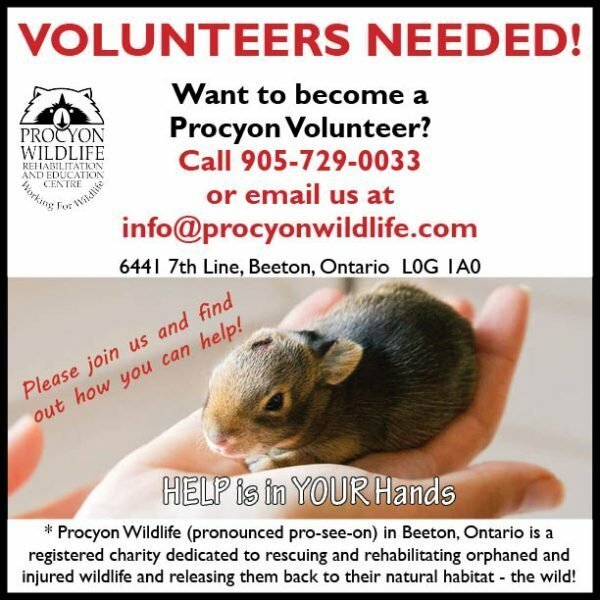 If you have an interesting wildlife story you would like to share with us, send it to info@procyonwidlife.com and please remember, if you find an animal which you think is in distress, please contact us at 905-729-0033. A lot of people are mistaking distemper for rabies. Since 2015 to now 2019 there have been 457 cases to date of confirmed rabies and they have all been in our more southern areas. Not here. MNRF has a program where they drop bait with rabies vaccine in it for the wild animals to eat therefor getting protection from contracting the decease. It’s been proven by the statistics to be working. 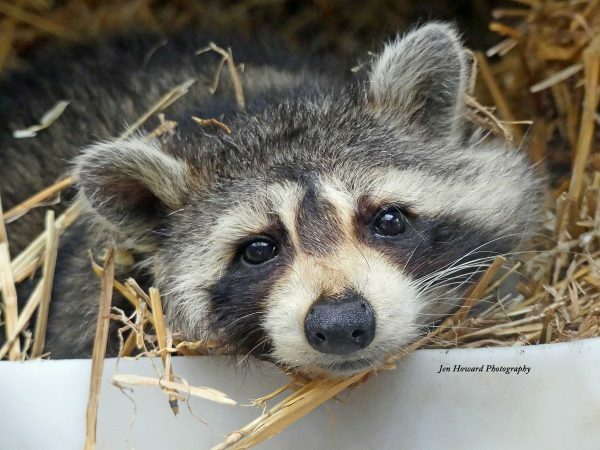 However a man was bitten by a raccoon recently and presumed it rabid and shot it in the head. to teach the young and all, about wildlife. 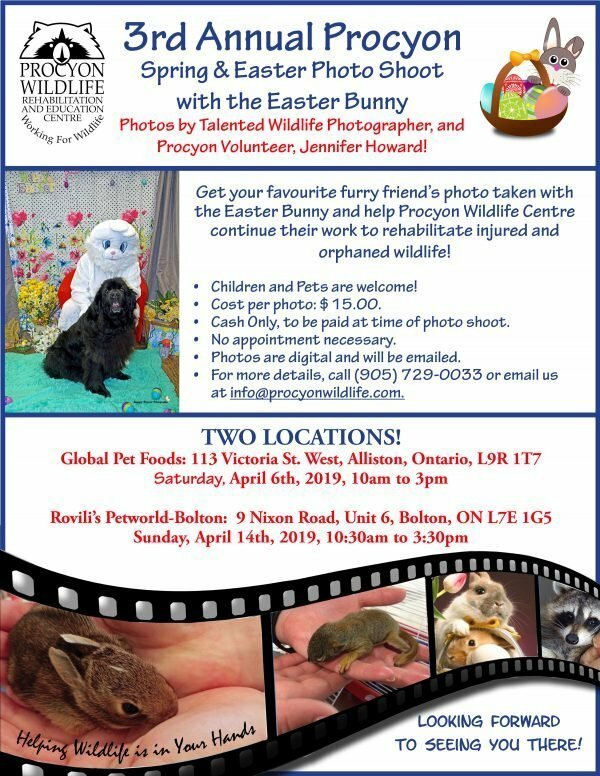 Wildlife photographer Jennifer Howard will be available to take spring photos of your kids and your family pets!